Just the word “saison” is weighty with possibility. Seeing it on a beer label, all by itself, tells you almost nothing about what to expect. You may be presented with a beer heavy on Belgian yeast esters, redolent in clove and spice. If there’s enough wheat in the grist, it may blur the lines between “farmhouse ale” and hefeweizen. It may be charged with noble or American hops to the point that it rivals the hop expressiveness of IPA. It may be fruited, or spiced, or even dark in color. Or it may be wild—but even here, we’re just stepping off another cliff into a sea of further subgenres. An all brettanomyces saison will likely make funkiness its calling card, while a mixed culture beer with lactobacillus or pediococcus will undoubtedly bring a cleaner, brighter tang of tartness. And that’s not even mentioning the barrels into which you might place your saison: Spirit barrels, wine barrels, neutral oak and more. ALL of those beers are in this tasting. Yes, we realize the inherent level of absurdity and difficulty in comparing them to one another. In the end, a puckeringly tart, wine barrel-aged saison has little in common with a classic Franco-Belgian example of the style, such as Saison Dupont. But as in previous Paste tastings, we’d prefer to be inclusive rather than exclusive. As long as the beer in question is marketed as “saison” or “farmhouse ale,” then it’s A-OK by us for inclusion. In the end, we needn’t have worried. Saisons of all possible descriptions all did admirably in the tasting—clean, funky, tart and everywhere inbetween. So let’s get to it. As in most of our blind tastings at Paste, the vast majority of these saisons were sent directly to the office by the breweries that choose to participate, with additional beers acquired by us via locally available purchases and the occasional trade. We always do our best to reach out to breweries we’re aware of that make exemplary versions of particular styles, but things always do slip through the cracks. We apologize for a few significant omissions that we couldn’t acquire, either due to seasonality or market shortages. There will never be a “perfect” tasting lineup, much as we continue to try. 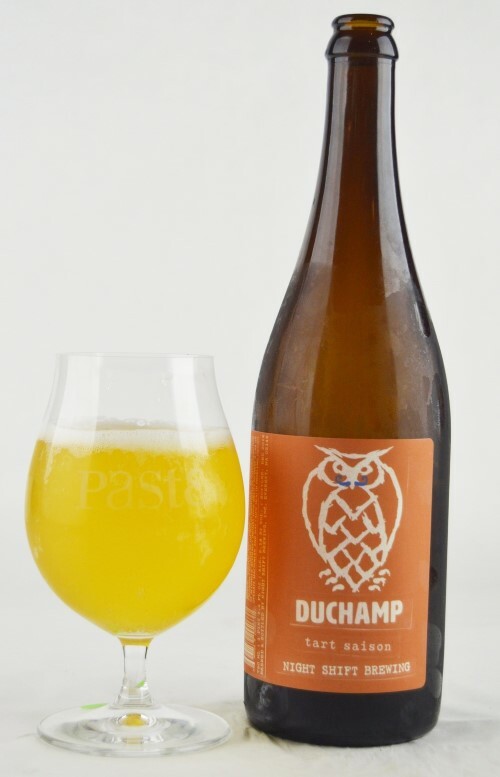 On the plus side, this saison tasting includes several noteworthy breweries that have never been part of a Paste blind tasting before, including Hill Farmstead and de Garde Brewing. 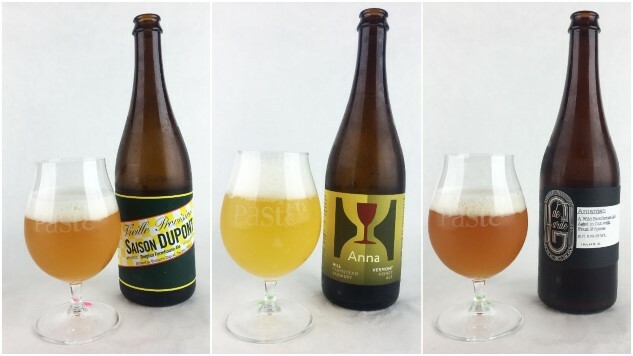 - As explained above, this is exclusively a tasting of saison/farmhouse ale/grisette, largely determined by how the breweries chose to label their products. There was no ABV limit. When in doubt, we simply allow a brewery’s marketing to define a beer’s style, and expect them to stick to the designation they’ve chosen. Let me tell you: We had some good freakin’ beers in this tasting. In fact, in 2.5 years of doing blind tastings, I don’t think I’ve ever seen the average scores end up this high—there are plenty of scores here in The Field that would normally land a beer in the middle of the ranked portion of the list, or higher. There were, of course, some misfires. Not every tart saison got the benefit of the doubt, as some of them were either overly sour or otherwise unapproachable. There were also a handful of unacceptably “sweat sock” examples of the style we encountered over the course of nine days of tasting, but overall, this was one of our highest quality lineups ever. As ever, the following beers are simply listed in alphabetical order, which means they are not ranked. I repeat: These beers are not ranked. Among the beers that placed into the ranked portion of the list, there was quite a lot of variety. Every substyle of saison is well-represented, but beyond that, this lineup is a veritable murderer’s row of well-regarded breweries. Not many breweries made the ranked portion more than once, but I think it’s revealing to note which ones did, because they line up pretty closely with breweries that are considered exemplary. The only brewers to place two beers in the ranked portion of the list were the following: Hill Farmstead, de Garde, Allagash, Ommegang and (perhaps the one surprise) Good People. Kudos to all of those guys, but also to everyone who made the finals in general. It was an especially strong field. 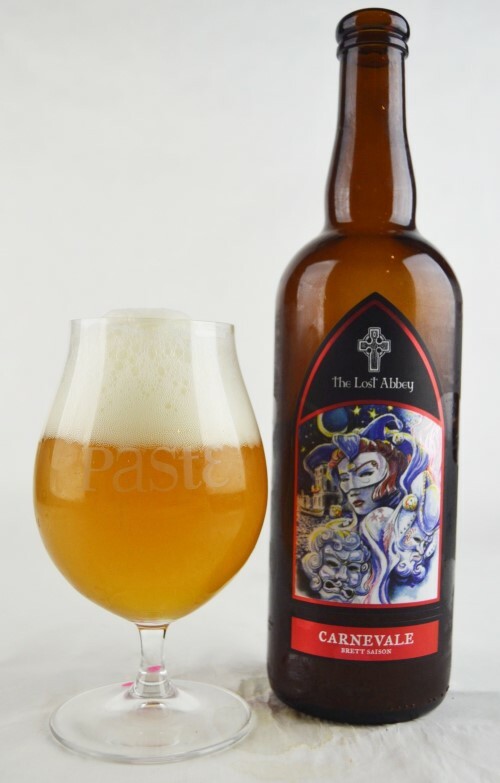 The verdict: Both of the classic saisons from Lost Abbey, Carnevale and Red Barn, ended up right next to each other in the final ranking, but it was Carnevale that squeaked its way into the numbered part of the list. This saison has a little bit of everything—it’s approachable but not lacking in subtleties, well-hopped but not defined by hoppiness, and classic but with a touch of wildness. There’s some slight brettanomyces character, but it tastes more like a classic Belgian saison profile than an unleashed, funk-forward wild ale. The hops contribute plenty of citrus, which flows into a nice, peachy stone fruit note, while the high carbonation prickles on the palate. All in all, a good balance of fruitiness, hops and yeast-derived character. The verdict: This was a pretty momentous beer for Allagash, when they debuted it a couple years ago. 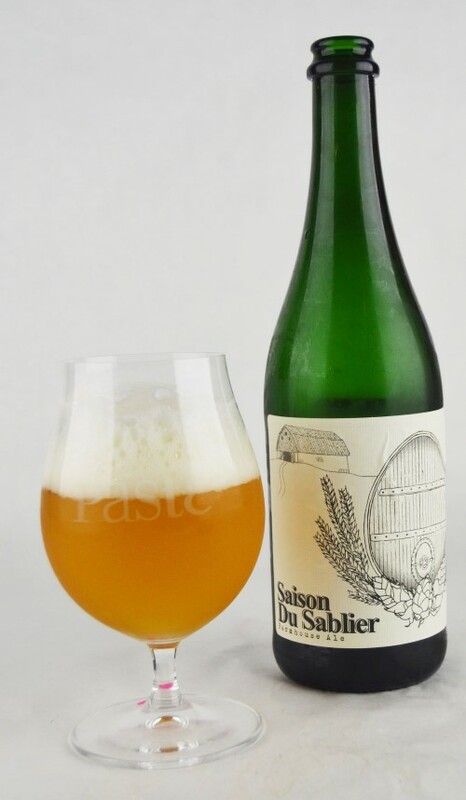 It seems weird to think that a brewery famed for Belgian styles never had a “house saison” in the years prior, but despite the fact that they frequently produced farmhouse ales, they never had a year-round flagship entry in the category as they do in say, witbier via Allagash White. On the nose it’s quite citrus forward—one taster even referred to it as “saison shandy,” although not all of the rest agreed about the strength of the lemon/orange character. 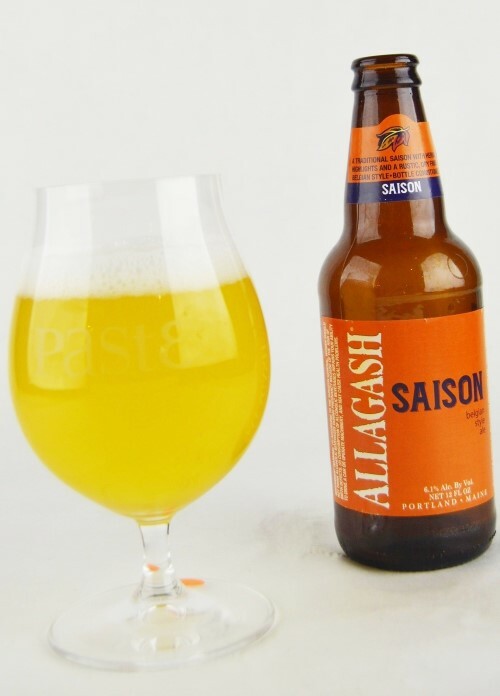 On the palate, Allagash Saison is lightly sweet, with a bit of toasted bread, peppery spice and plenty more citrus. Refreshing and light of body, it seems built for warm weather drinking and checks several of the same boxes as Allagash White, although we find the White packs a stronger spice profile. Still, it would probably be a fine companion to a lobster roll. The verdict: Saison is at the heart of Blackberry Farm’s stylistic wheelhouse, so it’s unsurprising that they would do well here. Nearly every taster’s notes proclaims this beer effortlessly easy drinking: “Clean, zippy, easy drinking saison,” or “Great traditional flavors and easy drinking, refreshing for all saison purposes.” It seems that everyone who tasted it immediately pegged it for what it was: A very traditional, well balanced, well executed take on saison, which packs some doughy, bready maltiness with hints of lemon citrus and spice. Banana-like esters are a feature, as is puffy, consistent carbonation. Rustic, authentic and a pleasure to drink. It’s one of the few 750 ml bottles in the tasting where a wine bottle seems like a perfectly approachable one-person serving. 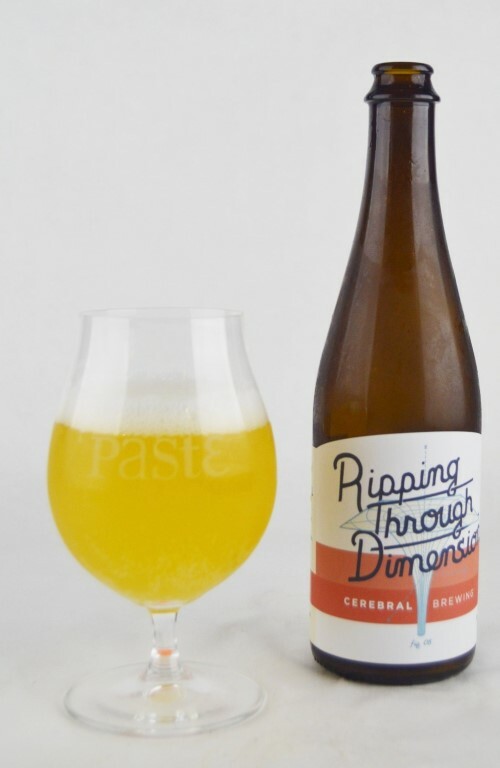 The verdict: Performing well in our recent tastings—in several different styles, we should note—is Denver’s Cerebral Brewing Co., who this time offered the excellently named Ripping Through Dimensions, a 100% brettanomyces saison that is dry hopped with Galaxy and an experimental hop varietal. The result is intriguing—soft, citrusy and tarter than some other 100% brett beers, it retains some of the funk but doesn’t have the woodiness of the barrel-aged brett beers. The combination of hops and wild yeast deliver a diverse fruit flavor profile, with grapefruit that morphs into a more exotic passionfruit-type note. All around, well-balanced, and a nice middle ground between the super funky brettanomyces saisons and the more sour, lacto-fueled beers that seem more like American wild ales. The verdict: Paste’s home city of Atlanta fared well in this tasting, with several locals presenting us with outstanding farmhouse ales in a variety of styles. Second Self’s take on the style is hop-forward thanks to some dry hopping, but not outrageously so—this isn’t an attempt to take a saison and hop it like an IPA, but rather an effort to add a wrinkle of American hop complexity to an otherwise classic style. Mosaic and Citra are used sparingly to give the beer some perceptible citrus and grassy/resinous notes on the nose, in a beer that is otherwise very clean and on the milder side of the assertiveness spectrum. And that’s all it takes to be a good beer—light, approachable and drinkable, with some delicate maltiness and fresh hops, and a touch of Belgian yeast esters. That’ll do. The verdict: Two Roads makes a nice reference in this title to the historical roots of the style—the classical style of Franco-Belgian saison was indeed largely used for “worker compensation,” being brewed at home and meted out to the farmhands to slake their thirst after being out in the fields all day. Fittingly, this is a lower ABV version of the style, almost grisette-like, but one that packs a good volume of flavor into a modest framework. The complexity added by the multigrain mash bill of barley, wheat, oats and rye is key, as the clean malt flavors split between doughy, bready notes and a lingering peppery quality of rye. Score sheets all came to extremely similar conclusions: “Classic French saison, right down the middle, a bit hefe-like.” “Nothing wrong with this at all, a bit hefe.” “Straight-forward, right down the middle.” It earns some points by being just as flavorful (if not more so) than many of the saisons 1-2 points higher in ABV. The verdict: Along with Ommegang’s Hennepin, Tank 7 from Boulevard is probably the most “important” or influential of all American saisons. 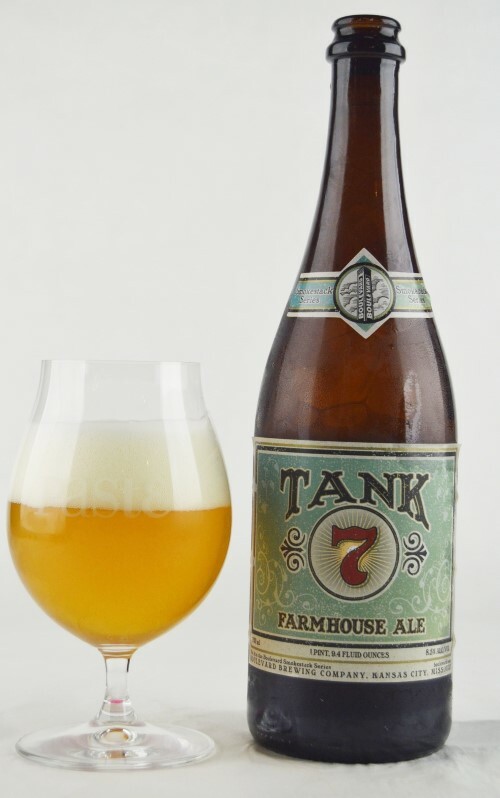 The style just wasn’t the kind of thing you saw as a year-round offering from bigger, regional craft breweries before the late 2000s, but Tank 7 changed all that by becoming one of Boulevard’s most popular and best-selling beers—and much of the evolution that has come along in the years since has hinged on Tank 7’s popularization of farmhouse ales with the craft beer rank and file. The profile hews toward the spicy and the herbal—peppery and sort of coriander-esque spice, with herbal notes that are almost sage or mint-like. Piney hops peek out occasionally, and everything plays nice with high carbonation and pillowy foam. It’s slightly on the sweeter side than some of the others, likely owing to the sneakily hidden 8.5% ABV, but still finishes dry. As far as an American answer to Saison Dupont goes, this beer definitely earns a place in the saison hall of fame. THe verdict: This three way collaboration between Dogfish Head, Stone and Victory has more or less become an institution at this point, although it’s interesting to note that this 2017 batch is the first one brewed at Dogfish Head since 2014. Your mileage will vary entirely by whether you can appreciate the intense, aromatic bouquet of herbs used in its brewing—parsley, sage, rosemary and thyme, in true Simon & Garfunkel fashion. They burst out of the foam with dominant spicy/herbal impressions that come through especially strongly with sage and rosemary. “Very unique, herbaceous beer,” wrote one taster who seemed to have a pretty strong suspicion of what he was drinking. “Cocktail ingredient beer” wrote another, perhaps viewing his glass with an eye toward its mixology applications. Regardless, DFH pulls off a pretty difficult task here of playing with strong, dominating adjuncts and somehow creating a beer that is defined by them while maintaining a baseline of drinkability. There were a good number of herb-laden beers in this tasting that could not say the same. The verdict: One of the more impressive things about this wine barrel-aged saison is that you’d really never know it was 9.9% ABV in a blind tasting—sitting next to beers 3 or 4% ABV lower, the booze isn’t jumping out at you here. Aged in red wine barrels with a couple strains of brettanomyces, this beer brings a firm level of tartness and tons of juicy fruit flavors both lighter and darker. That’s an odd touch you don’t see every day—the fruit character seems simultaneously big on citrus while also having some hints of red berry, almost as if it was aged in multiple styles of wine barrel. Oak is assertive, even close to dominant at times, as it is clear that this beer sucked quite a lot of character out of the barrel. In the end, it ends up on the right side of the line. The verdict: This was the first time that anyone at Paste had tasted anything from Longwood, Florida’s Hourglass, but we walked out of this tasting wondering if perhaps we had discovered one of the Southeast’s better kept brewery secrets. It seems strange that a beer this solid would have so few ratings online, which suggests that perhaps people have been sleeping on them—and they should wake up, because Saison du Sablier is lovely. One of the more purely funky beers on any of the days of this tasting, it’s hard to tell if there’s brettanomyces involved or whether this is just an extremely expressive Belgian yeast strain, but it creates a perfumed head of spice and fruit that is entrancing. From one score sheet: “Grassy, peppery, funky goodness.” From another: “Super barnyard; if you want funk, this is your beer.” Very impressively executed stuff—we hope to see some more from this brewery in the future. The verdict: Fremont is a brewery that seems to excel in these blind tastings regardless of what the style in question might be, which is a rare talent. We’ve never really tasted a farmhouse ale/brett beer from them before, but what else is new—they made a good one. Surprise, surprise. This newish beer is distinctly white winey in character, despite not being barrel-aged as far as we can tell. There’s a tannic, slightly grapey quality that blends with notes of green apple that you will often get from brettanomyces. It’s more funky than sour, although there is a soft, light tartness that only serves to enhance drinkability. “Lightweight but complex” reads one succinct tasting note. It’s a good case study for how wild yeast can impart a lovely degree of complexity to beers that aren’t necessarily pushing the boundaries on ABV or explosive flavors. The verdict: The Marcel Duchamp-inspired name suggests that this beer will be a classic French saison, but in execution it’s a little more nouveau than that. Night Shift describes it as a “tart saison in stainless steel tanks,” which is to say a soured saison created without the aid of barrels, but compared to many of the tart saisons this one is really on the gentle side. It’s actually more “funky” than outright tart/sour, with a really great profile of bready/grainy malt complexity and some supporting lemon citrus. 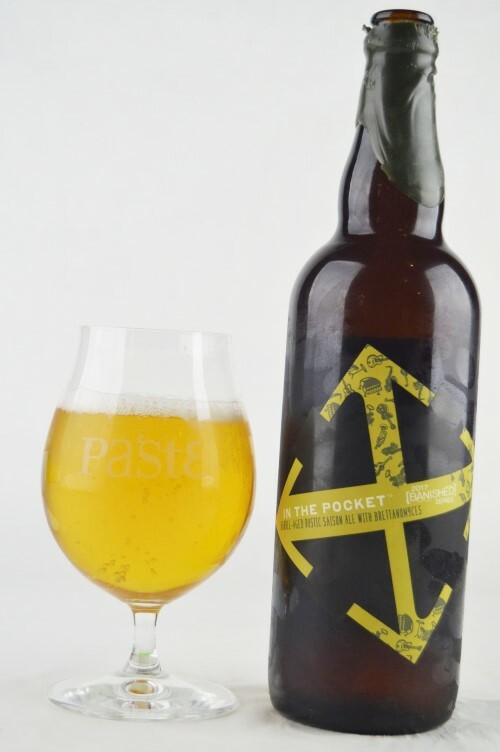 Refreshing and quaffable, it definitely feels and drinks like a lower ABV farmhouse ale. From one score sheet: “Bright citrus and crisp malt.” From another: “Nicely funky, yeasty and all around lovely.” Perhaps it’s just because we tasted plenty of puckeringly tart saisons in the course of this tasting, but this Night Shift entry seemed quite adroitly tactful in comparison. The verdict: Here’s a classic style saison that leans more heavily on its malt and yeast profile than many of the others, with a more deeply toasted malt character that was present in a handful of these beers but not often appreciated by the tasters … but this is the exception that proves the rule. The Belgian yeast strain here is expressive, with big, clovey phenols that stand out, and a banana ester that was irresistible to several of the tasters. “Overripe banana aroma … in a good way,” reads one of the score sheets. “Slight hoppiness and wheaty banana bread” reads another. It’s just a solid, old-school saison that throws itself behind the quality of the ingredients and the classic yeast profile. The verdict: If and when we were presented with “hoppy saison” in this tasting, it was usually an excuse to fit in some juicy, citrusy or tropical American hops into the saison mold, but Ipswich takes things in a different direction. 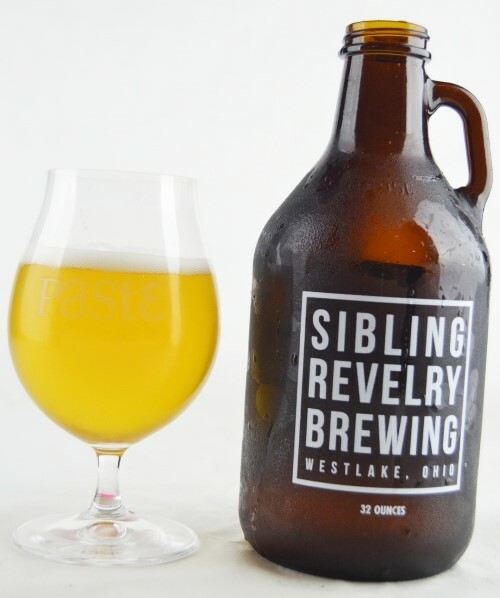 Their hop-forward saison balances floral, piney and lightly resinous hop character with some lemon citrus and just a touch of Belgian yeast-derived funkiness. It’s light on the palate and not very expressive as a Belgian ale, but at the same time the hop character provides an interesting counterbalance. Sampled outside of this kind of organized tasting, you might actually identify it as an American pale ale, and a perfectly balanced one at that. The verdict: de Garde is one of the country’s most sought-after producers of wild ales, sours and farmhouse ales, and has been for several years now, but this is our first time having an opportunity to welcome them to a blind tasting at Paste. This beer, Anianish, is something of a mystery: The description simply says “a wild farmhouse ale aged in oak with fruit & spices,” without specifying the nature of either. Nevertheless, “fruit” and “spice” appear on pretty much every score sheet: “Gingery spice and dried fruit, fairly tart and slightly cidery,” to quote one. Some of the tasters got significant grapefruit citrus out of it, which provides a nice balance of sweetness to counteract slightly puckering tartness. It’s a complex, well-made beer that we can’t help but think might present completely differently on a different day, owing to the contrasting flavor profiles at play. This is one we’d really like to taste again at some point. The verdict: Perennial is among the most dependably great of all the breweries that regularly submit beers for these blind tastings, so this is no big surprise. Their offering here has obviously been oak-aged, and it’s imparted a moderate level of tartness. The big charge of lemony citrus and bready malt flavors almost make us think of a Berliner weisse—this is one of those beers stretching the definitions between saison/farmhouse and other tart beer styles—but there’s also some funkier, apple/pear type fruit impressions hiding under the surface if you can get past the tart, juicy fruit. A nice undercurrent of oak caps everything off, in a beer that isn’t extremely complex, but very, very easy to enjoy. It’s beers like this that have been so successful in converting white wine drinkers into sour beer geeks. 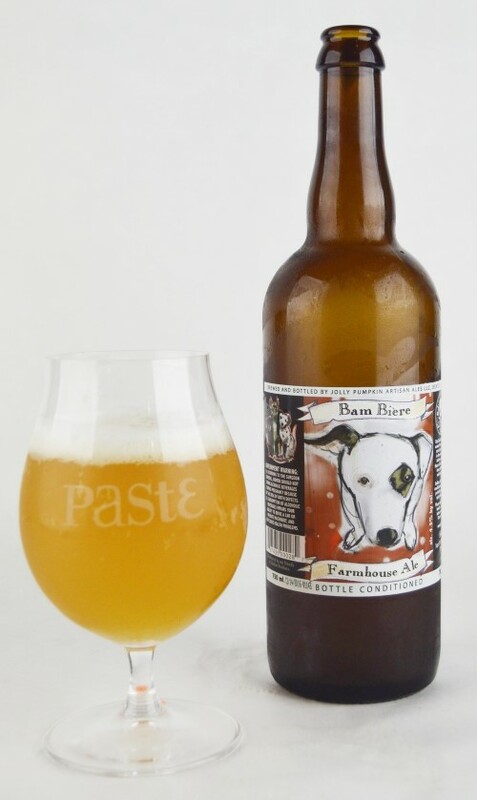 The verdict: Having been around since at least 2006, Bam Biere has to be considered a formative beer and elder statesman in this genre, as far as American saisons are concerned. Tasting it, we’re not surprised that the brewery uses this beer as a template for myriad other variations—it’s so well balanced and right down the middle that it’s the perfect neutral canvas for experimentation. But the beer is also still a pleasure to drink all on its own—light of body and easygoing, with lively carbonation, it brings crisp, lightly grainy maltiness and a kiss of floral and citrusy hops, but nothing excessive. There’s nothing in the description that would lead you to expect it to be sour, but there does seem to be just a wisp of tartness here for whatever reason, but in an obviously pleasant way. It feels like a beer for extended porch drinking sessions. The verdict: Red Brick is Atlanta’s oldest brewery, predating even SweetWater, so it’s pretty cool to see one of the Southeast’s O.G. brewers show their stuff in a blind tasting setting. This is a straight-forward, approachable, sessionable farmhouse ale brewed with lemon and tangerine peel—hence the name—but the funny thing is, we didn’t particularly get a ton of citrus off it, at least compared to some of the other beers on the table. Rather, all the tasters enjoyed and commented on its classic yeast profile—funky and assertive, with big clove phenols and peppery spice. The funkier saisons always run a risk of crossing some kind of tipping point and coming off as “musty” or mildew-like, which this one deftly avoids. And at only 5.5% ABV, it’s packing a very respectable amount of outright flavor into each 12 oz can. Next time we taste it, we’ll probably get the citrus more prominently, but as it is, the tasters simply appreciated an excellent saison. The verdict: There was some concern when we started that the higher ABV saisons might just run roughshod over the session saisons and grisettes in this tasting, but the results didn’t really bear that out. Rather, it was often unique flavor combinations that carried the day, and that’s what this Ommegang session saison gave us. Spiced with grains of paradise and coriander, it has an exotic, spicy nose that almost evokes a Belgian witbier rather than classical farmhouse ale—but when you’re a brewery that also makes one of the most famous American saisons in the form of Hennepin, it makes sense to branch out a bit here. To go to the score sheets: “Drinks like a witbier, notes of coriander, dry and refreshing beer with a beautiful head.” Ommegang know their farmhouse ales, that’s for sure. The verdict: This is a good example of what one might call the “Americanized” saison—a farmhouse ale using a Belgian ale yeast of some kind, but not wringing quite as much intensity out of it in certain aspects, such as the banana/clove combination. Instead, it’s cleaner and the malt shines through very crisply—grainy and lightly bready, with pleasant complexity. Lightly fruity esters of stone fruit build throughout—the more you go back to it, the more you start getting a nice peach/apricot note, and maybe something like juicy pear. All in all, it remains quite approachable throughout, an easygoing saison that has some hidden depths worth seeking out.